Ask Us About A 50% Discount on Exams! Losing a beloved pet and family member can be a difficult time for you and your family. At American Veterinary Hospital of Simi Valley, every member of our team will be there for you with not only the highest level of quality care and expert precision but also the utmost compassion, concern, and love. Our warm-hearted team knows that it can be incredibly difficult to make the emotional decision that comes with choosing to let your pet go, but we aim to make it as painless as possible for you and your pet. We are here to help you in any way possible during this exceptionally trying time. American Veterinary Hospital of Simi Valley is here for you and your best friend during the end of their life, from a friendly hug or a welcoming smile to a comforting thought. We not only offer emotional support to our clients, but we also offer the end of life care your pet may need. The decision to euthanize your beloved pet is one of the most difficult you will ever have to make. Unfortunately, only you can make the final decision, because you know your pet better than anyone else. Making that decision is a difficult one, but I can help walk you through the process so that your pet will receive compassionate care until the very end. When it is the right time for you and your pet, Dr. Luis D. Cruz will come to your home for a gentle and painless passing. Keep Your Aging Pet In Comfort‎. 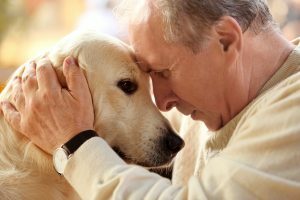 Pet Hospice is a philosophy of care which provides pain management and end of life care for companion animals so they may continue to live their lives with comfort. Our hospice services are also family focused; meaning YOU are in charge of the care of your beloved animal with the assistance of a medical team. Our expert staff is here to help guide you through the final stages of your pet’s life, and our entire staff is willing to answer any questions you may have or lend a helping hand whenever needed. Let us help you in this difficult time, making losing a loved pet as easy as it can possibly be and caring for them in the best way possible.